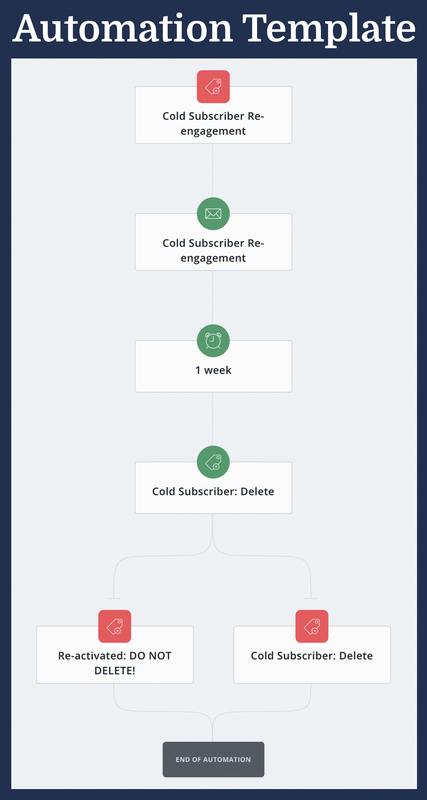 Send emails to your most loyal subscribers and prune the inactive ones. Coming Soon: We are working on a way for you to view a specific list of your most engaged subscribers. This will be based on those who have clicked and opened the most emails from you. The best way to find out who your most engaged subscribers are is to first weed out those who are cold and inactive on your list. We actually have a free Automation template that you can download straight to your Automations that you can use! Just click on the image below to see the template where you can then choose Use This Automation and have it added to your account. Congrats on your steps toward getting a more engaged email list!